3rd BRICS 2019 is now open! The 3rd BRICS Call under BRICS STI FP will be launched in early 2019 and should provide even more opportunities for BRICS researchers, inviting to submit projects in 13 thematic areas. 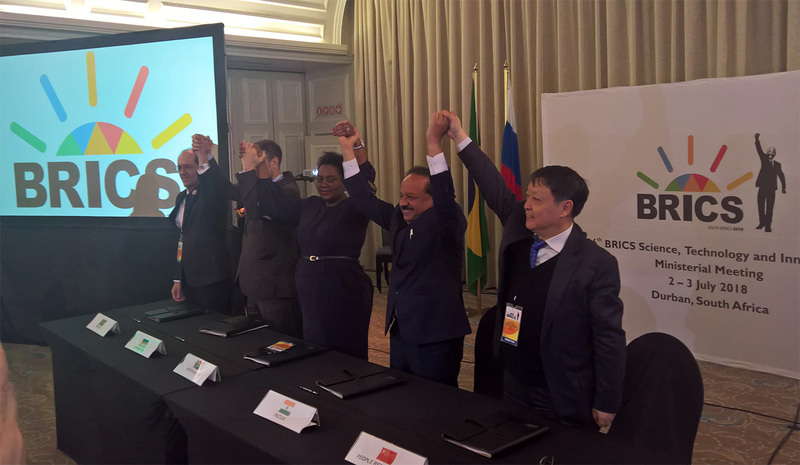 For two weeks the South African city of Durban became a center for BRICS science cooperation with several events concluded from 24 June to 03 July 2018: 3rd BRICS Young Scientist Forum, 4th BRICS STI Funding Working Group meeting, 8th BRICS Science, Technology and Innovation (STI) Senior Officials' meeting and 6th Ministerial meeting.